MOSCOW, June 18. /TASS/. Nord Stream-2 gas pipeline project is purely commercial, not political, and attempts to counter its implementation violate the rules of free competition, Russian presidential spokesman Dmitry Peskov said on Monday. He noted that in the project implementation Russia is interacting with Germany and a number of other states and companies. "We know that some countries express their disagreement. However, this project is purely commercial, it has no political connotations, and somehow countering its implementation would violate the principles and norms of free competition," he said. Nord Stream-2 includes construction of two lines of a gas pipeline with a total capacity of 55 bln cubic meters of gas per year from the Russian coast through the Baltic Sea to Germany. The gas pipeline will bypass the transit states - Ukraine, Belarus, Poland and other Eastern European and Baltic countries - through the exclusive economic zones and territorial waters of five states - Russia, Finland, Sweden, Denmark and Germany. The total cost of the project is estimated at 9.5 bln euro. 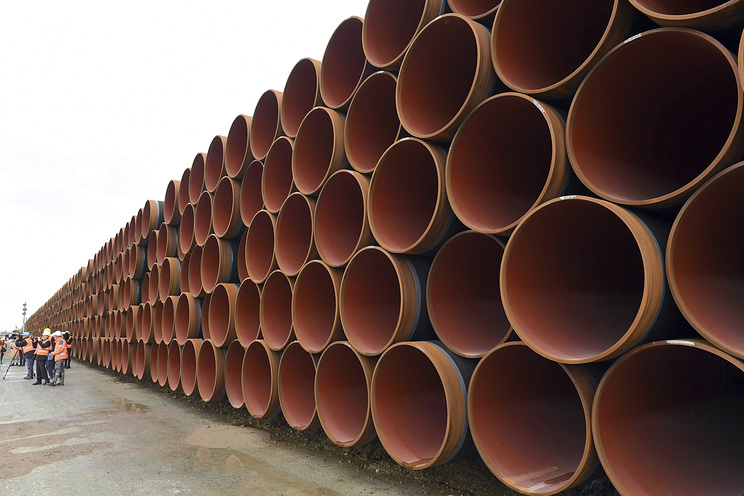 The pipeline is planned to be commissioned at the end of 2019. The only shareholder of Nord Stream 2 AG is Gazprom. Gazprom's European partners in the project include German Uniper and Wintershall, Austrian OMV, French Engie and Anglo-Dutch Shell. In Germany and Finland, Nord Stream 2 AG has already received a full set of permits for the construction and operation of the gas pipeline.